Picture this. You’re an elite brain surgeon, the best in your profession -- you’re even smarter than some catalog writers. You’ve agreed to make history by being the first doctor ever to ever do a full brain transplant in under 30 minutes. It’s the big day and the procedure is going fine, but then the unthinkable happens: the cat knocks out the extension cord and all of the power in the hospital goes out. The operating room is thrown into pitch darkness, and you’ve only got three minutes to finish up the operation and set the world record. But how do you see what you’re doing? 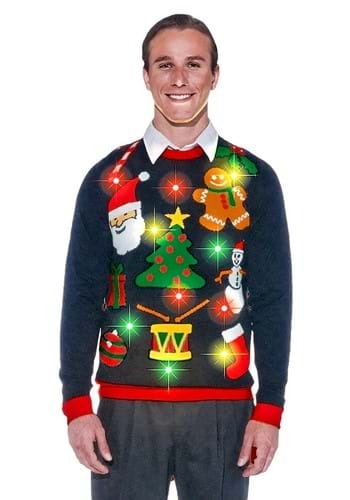 It’s at this moment you’re more thankful than ever that you wear your Everything Christmas Lighted Ugly Xmas Sweater to work every day! The bright and colorful lights are all you need to make quick work of the procedure, and when all’s said and done they’ll give you prizes and your picture in the paper and your very own huge pizza party. All thanks to your sweater! You’re so smart! 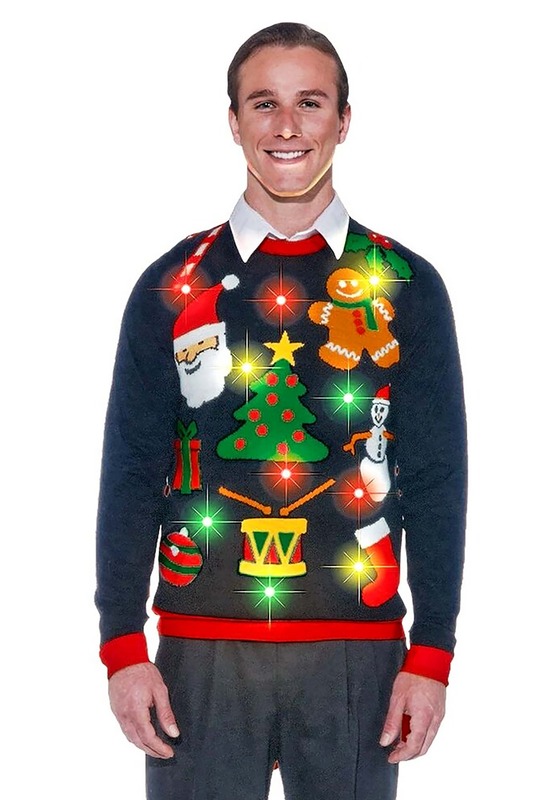 And even if you’re not a brain surgeon and you’re only entering an ugly Christmas sweater contest, wearing this to it is the equivalent of bringing an atom bomb to a water balloon fight. It's a really cool sweater, downside, you have to be careful putting it on and off, each light has a plastic ring that fits over the light so they don't get pulled into the inside of the sweater. Not sure how its going to get cleaned with all the wire, but a very good buy for a single season sweater.